On the sacred night of Shivaratri, devotees of Lord Shiva fast and remain awake throughout the night praying and meditating. 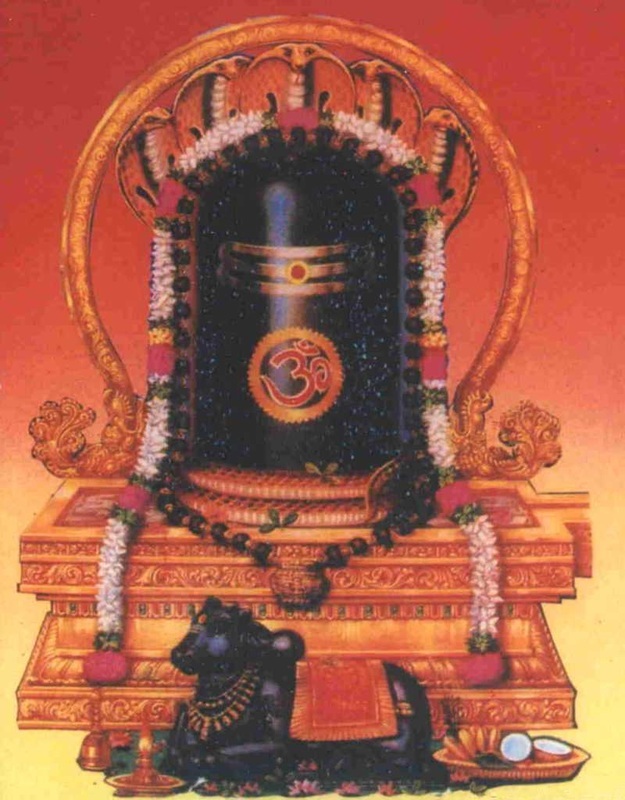 The Shiva Linga, which is a symbol of the Lord's formlessness, is worshiped along with sacred mantras and Vedic hymns. Offerings are made of milk and leaves from the bilva tree. Bilva (Aegle marmelos) leaves are considered especially sacred to Lord Shiva. The leaf has three leaflets symbolizing the threefold division of time (past, present and future), the three states of consciousness (waking consciousness, dream, and deep, unconscious sleep), and the three realms (the physical, astral, and causal). Milk is poured over the Shivalingam in a ritual called abhishekam. Abhishekam is a purifying and energizing ritual which helps cleanse subconscious mental impressions and brings about mental clarity. Abhishekam is an offering, and a prayer, and a meditation which is very powerful to clear karmas and to increase spiritual perception. Fasting and remaining awake throughout the night are practices which help people to develop discipline and to gain control over the body and mind. The practice of fasting and remaining awake also alter the body chemistry and alter a person's state of awareness. When the normal awareness shifts through fasting and remaining awake, along with meditation and spiritual practices, the possibility of attaining higher states of consciousness increases. Such austerities, which are practices of hatha yoga, are more effective at the sacred time of Shivaratri than at any other time in the year. One does not need to be a Hindu or worship Shiva to take advantage of the sacred energy of this special day. Let us all take advantage of this sacred time and remain engaged in worship, prayer, and meditation on Shivaratri night. May our practice bring us to peace within, and may this peace multiply and effect the world around us. Maha Shivaratri is the most sacred festival day for Lord Shiva, who is the the Divine embodiment of peace and transcendent awareness. Shivaratri is celebrated annually on the night of krishna trayodashi / chaturdashi (when during the waning moon cycle, the thirteenth lunar phase ends and the 14th lunar phase begins) during the lunar month of Magha (Feb. / Mar.). This year, Maha Shivaratri falls on the 27th of February in North American. This night is considered one of the most conducive times in the year for conducting spiritual practices. Yoga practices, meditation, and mantra practice done at this time will bestow much greater benefits than at other times. Mantras and prayers for Lord Shiva, in particular, will bestow great benefits at this time. Shiva mantras are said to be a thousand times more powerful on Shivaratri. Ardent seekers and yogis go to the sacred temples or seek to be in the company of their guru at this time. They know that spiritual disciplines conducted on Shivaratri will confer many extra blessings, and accordingly strive for realization throughout the night. Shiva is said to be the Lord of yogis, and He is meditated on in the form of a meditating yogi. Shiva helps lift people from all worldly troubles and to unite their awareness into transcendent bliss.